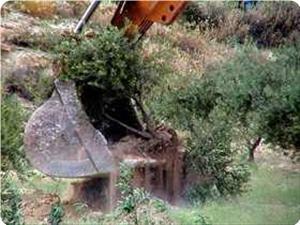 Thursday April 25, 2013; Israeli soldiers uprooted more than 700 olive trees in Arraba area, close to the Dotan illegal Israeli settlement, near Arraba village, south of the northern West Bank city of Jenin. 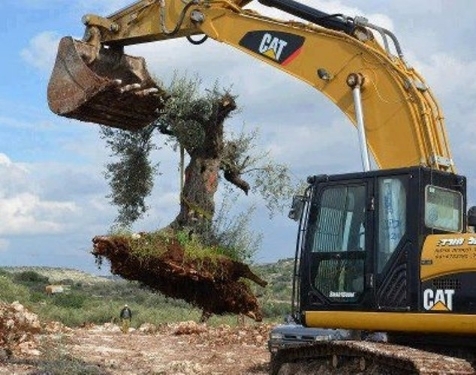 Local sources reported that the olive trees belong to resident Mahmoud Ad-Daheedy, from Arraba, and that the trees were planed more than seven years ago. 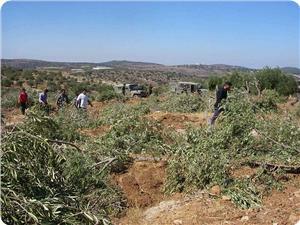 The Maan News Agency reported that legislator Najat Abu Baker called on human rights and legal groups to investigate the assault and oblige Israel to compensate the farmers for their losses, especially since uprooting trees and farmlands is a policy used by Israel, and its settlers, in occupied Palestine. 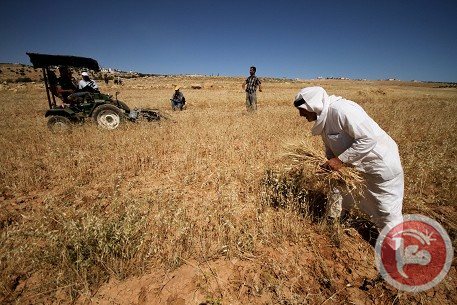 It is worth mentioning that Israeli settlers are also responsible for hundreds of attacks targeting Palestinian orchards, farmlands, homes and property in the occupied West Bank, including in and around occupied East Jerusalem. These attacks include uprooting and cutting trees, burning trees and farmlands, burning Palestinian cars and property, in addition to defacing and torching several mosques and churches and writing racist graffiti against the Arabs, Muslims and Christians. Israeli occupation forces (IOF) raided the eastern areas of Khan Younis, south of Gaza Strip, at dawn Thursday amidst intermittent firing. 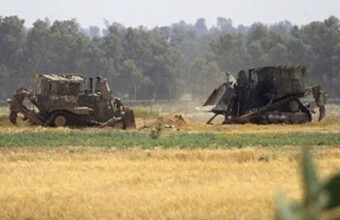 Local sources told the PIC reporter that four IOF tanks escorted three military bulldozers that advanced 300 meters in agricultural land to the east of Abbasan Al-Kabira while firing at random. The Israeli occupation authorities (IOA) razed a number of apartments and shops in Khilla suburb east of the Old City of occupied Jerusalem. 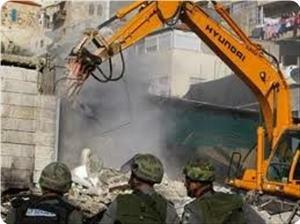 The Wadi Hilwa information center said that Israeli municipality bulldozers demolished the apartment and the shops on Wednesday. It said that the buildings were owned by two Jerusalemites and were razed at the pretext of lack of construction permits. The center said that the 500 square meters buildings were ready for use as they were completed in August 2012 at a cost of around 165,000 dollars. 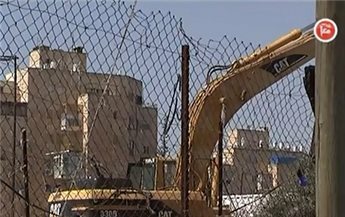 It pointed out that an Israeli court had ordered the demolition of the buildings in May 2013 but the municipality suddenly demolished them on 24th April. The Israeli occupation authorities (IOA) served demolition notices to owners of four Palestinian houses and a medical clinic in Yatta town in Al-Khalil on Wednesday evening. Ratib Al-Jabour, the coordinator of the popular committee in Yatta, said that the four houses are owned by two brothers in Eqawaris area. He said that the demolition notifications also included a medical clinic that is still under construction in Susiya and that was supposed to extend medical services to more than 145 people inhabiting that area. The West Jerusalem municipality workers Wednesday demolished three apartments of a building under the pretext of building without a permit, in the town of Al-Tor in East Jerusalem, according to the house owner. Kayid Jaradat told WAFA that this is the third time the Israeli municipality workers demolish his house despite the fact that he obtained all the required papers to stop the demolition. He added that the 500-square-meters apartments were to house 40 of his family members including three blind and six disabled members. Ahmad Sob-Laban, the Jerusalem affairs field researcher, told WAFA that since 1967 the Israeli municipality gave four thousand construction permits to Palestinians in Jerusalem; whereas 52 thousand permits were given to Jewish settlers. He continued that nearly 20 thousand homes are exposed to demolition in East Jerusalem and that the Jerusalem municipality demolishes up to 100 houses each year as part of its transmigration policy. The Israeli authorities Wednesday informed around 100 families of Wadi Al Malih, in the Jordan Valley, that they have until Monday to evacuate their shacks and move somewhere else, according to a local official. Aref Daraghme, head of al-Maleh local council, said that Israeli forces informed the residents of the area to evacuate their shacks and tents temporarily for military training, which will force them to eventually leave their homes. He added that using live bullets during the military training will put the residents and their cattle’s life in risk. 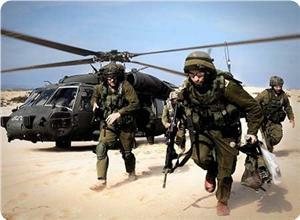 Daraghme said that this is not the first time Israeli soldiers force residents to evacuate their homes. 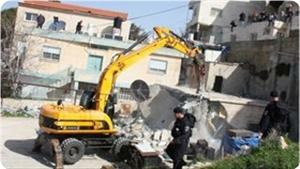 Israeli forces on Wednesday demolished three homes in al-Arrub refugee camp in Hebron, a local official said. Israeli bulldozers, accompanied by a large military force, entered the al-Bassah area of the camp and demolished the home of Omar Muheisen and two others under construction, popular committee head Ahmad Abu Kheiran told Ma'an. Camp residents are afraid that more homes could be under threat of demolition, he added. Between 1999 to 2004, Israel demolished 1,049 homes and other structures in the occupied West Bank, according to B'Tselem. In 2013, 234 people have been left homeless, including 129 children, by Israeli house demolitions in the West Bank, not including East Jerusalem. The Israeli occupation authorities (IOA) razed three Palestinian homes in Aroub refugee camp, north of Al-Khalil, at dawn Wednesday. 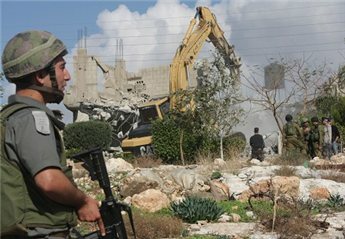 Ahmed Abu Khairan, a spokesman for the popular committee in the camp, said that Israeli occupation forces stormed the camp at the early dawn hours and used huge bulldozers to raze the three houses. He said that the bulldozers destroyed two houses for Muhaisen family and a third one that was still under construction. Omar Muhaisen, an owner of one of the houses, said that the bulldozers inflicted damages on other installations while destroying the houses. He added that the demolition falls in line with the IOA scheme to prevent the camp inhabitants from building more houses on the four corners of the camp. 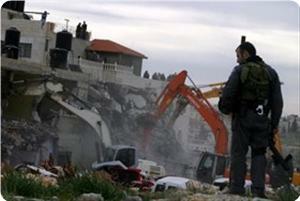 Israeli forces demolished several residential and commercial buildings in East Jerusalem on Wednesday, locals said. Israeli bulldozers, accompanied by military forces, arrived in the neighborhood of At-Tur and demolished a building under construction containing three apartments, owner of the property Khamini Hamdan told Ma'an. Three shops connected to the building were also destroyed, he added. The buildings were destroyed under the pretext that they lacked construction permits, although Hamdan said he has been trying to obtain building permission for over 6 months. Kayed Jaradat, a joint owner of the property, said he had obtained a court-order to suspend demolition orders on the building until May, saying that the construction cost of the property was over 600,000 shekels ($166,000). Two nearby apartments were evacuated during the demolition, with 40 people forced to leave their homes temporarily. Since 2004, Israel has demolished 442 Palestinian homes in East Jerusalem, leaving 1,746 people, including 945 children, homeless, according to B'Tselem. 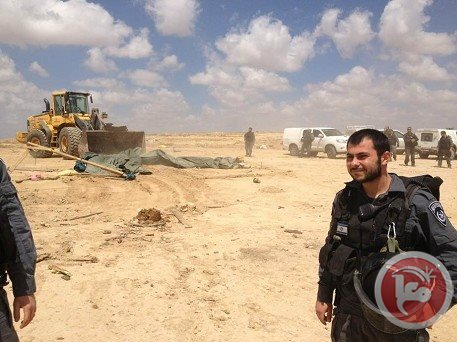 Israeli Occupation Forces have demolished on Tuesday Palestinian agricultural facilities in ​​al-Maleh area in the northern Jordan Valley. The chairman of the Local Council in Wadi al-Maleh and Bedouin villages, Aref Daraghmeh, told Quds Press that Israeli force accompanied by bulldozers stormed on Tuesday Wadi al-Maleh area and demolished the farmers' tents and agricultural facilities. The IOF targeted 18 tents and barns for livestock breeding, causing considerable material damage, Daraghmeh confirmed, pointing that the demolition process came in light of the Israeli continued target to the Jordan Valley under the pretext of being a military zone. Since all of the homes are built without the approval of government authorities, there is no access to water or electricity. Id Khamis has installed solar panels outside which produce enough power to run a television and lights. He has no refrigerator. “My wife has to work very hard preparing all of the food fresh,” he says with a smile. 'They are living there illegally' Several years ago, Israel tried to move these Jahalin Bedouin, along with 22 other communities - a total of 2300 people - to another location near a garbage dump. Israeli lawyers hired by human rights organizations appealed to Israel’s Supreme Court to thwart that plan. Id Khamis says the new plan is even worse. “This is private land. It is not appropriate for Bedouin. It’s like a prison. It is surrounded on all four sides. I am a Bedouin…but this is not acceptable to me. Israelis wouldn’t want to live like this, either.” Id Khamis says Israel is trying to remove all Palestinians from Area C, the 60% of land Israel acquired in the 1967 war over which it continues to hold both security and administrative control pursuant to the 1994 Oslo Accords. He sees it as proof that Israel is not interested in a long-term peace with the Palestinians. “Once they have removed all the people, they will say that the land belongs to them,” Id Khamis argues. “This is like the last bullet in the head of the peace process.” Israeli officials say the plan has not been finalized and they are not sure why the Jahalin are launching their objections now. “They are living there illegally and we are looking at a series of options,” Guy Inbar, spokesman for the Civil Administration, the Israeli body which administers the post-1967 areas, told The Media Line. An Israeli central court in Jerusalem on Friday suspended a legal case by the Israeli municipal council of Jerusalem seeking to confiscate a private tract of land owned by Palestinian Salman family in Beit Safafa neighborhood, a lawyer says. Qays Yousif Nasser, who represents the Palestinian family, said in a statement that the court decided to wait until the Supreme Court makes its final decision into the case. 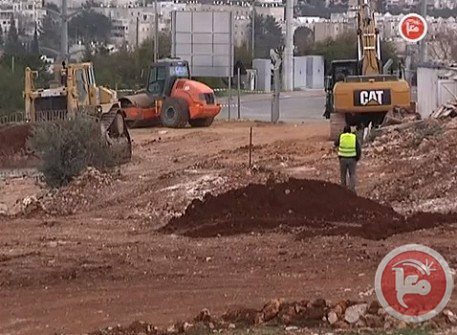 Nasser highlighted that a local Palestinian committee from Beit Safafa neighborhood had appealed to the Israeli Supreme Court contesting the municipal plans to build a new road known as route 4. “The decision is of great importance as it could help freeze other legal proceedings submitted by the municipality of Jerusalem asking to confiscate private lands in other locations in the neighborhood,” the lawyer said. Nasser revealed that he obtained earlier this week a very important document which would support the neighborhood’s struggle against route 4. Nasser says the letter could serve as a proof that confiscating private land for route 4 is illegal. Bedouin communities in Khan al-Ahmar held press conference on Thursday to explain the dimensions of the occupation authorities' scheme that aims to expel them to Nowayma village near the city of Jericho. Eid Abu Dahuk, official in school assembly in Khan al-Ahmar, said during the conference that he and other Bedouins were deported from Tel Arad in the Negev in 1951, to settle down in Khan al-Ahmar and Jerusalem since that date. He pointed to the close alliance between the settlers and the successive Israeli governments that have been impeding the development process in the region in order to push the Bedouins to leave. The lawyer Shlomo Lecker, in charge of defending the right of Bedouin communities in the Israeli courts pointed out that the Supreme Court has frozen the decision to deport the Bedouins to a landfill site in Abu Dis. Lawyer Lecker added that within 60 days, the Israeli Defense Minister will sign on the new plan that aims to deport the Bedouins from Khan al-Ahmar to Nowayma village near Jericho. Mohammed Karshan, from the Bedouin Committee in Jerusalem, demanded the occupation authorities to allow the Bedouin tribes to return to ​​the Negev and Beersheba, as those areas are suitable for their Bedouin lifestyle that relies on livestock. Ezzat Resheq, member of the Hamas political bureau, condemned the occupation new plan to deport the Bedouin communities from Khan al-Ahmar, in eastern Jerusalem, to Nowayma village near Jericho in the Jordan Valley. "We in Hamas strongly condemn and reject the Israeli schemes that target the occupied city of Jerusalem, and aim to displace its people and Judaize its land in favor of the settlement projects," Resheq said in a press statement on Friday. He considered this scheme a flagrant violation of international norms and conventions, and a desperate attempt that will not succeed in imposing a fait accompli and obliterating the historical landmarks of Jerusalem. 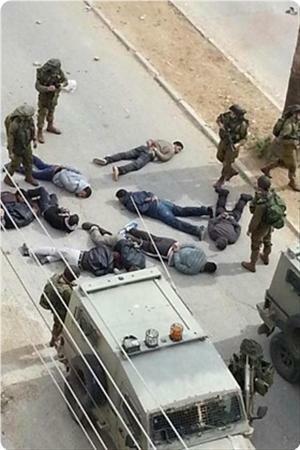 Resheq also warned the occupation of the continuation of its crimes against the land and sanctities, and denounced the international silence and inaction regarding the Israeli abuses. The Hamas leader called on the Palestinian people to confront the occupation projects, and demanded the Organization of Islamic Cooperation and the Arab League to protect Jerusalem, its population and its historical monuments from the danger of Judaization and displacement. Meanwhile; the Palestinian Legislative Council (PLC) called on the Arab and Islamic nation and the Palestinian people to confront the Israeli schemes targeting Al-Aqsa Mosque and the occupied city of Jerusalem. Ghassan al-Shami, media spokesman for the Jerusalem and Al-Aqsa Committee in PLC in Gaza, noted in a press statement on Friday that the occupation authorities have continued their Judaization schemes against the city of Jerusalem; targeting the land, the civilization and the people, in a flagrant violation of all international agreements. Al-Shami has also denounced the policy of deportation of Jerusalemites from their land for the establishment of settlement projects. 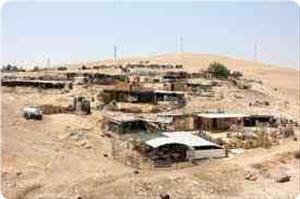 Jerusalemite sources revealed earlier that the Israeli Defense Minister will sign on a new plan that aims to deport the Bedouins from Khan al-Ahmar to Nowayma village near Jericho. 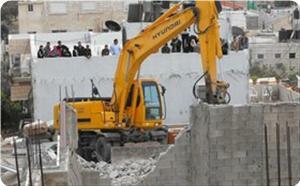 Israeli forces on Thursday demolished a store belonging to orphans in Wadi al-Niam, a Bedouin village in the Negev. The store belonged to orphans from the Jirjawi family, a Ma'an reporter said. Abu Affash told Ma'an the whole village was slated for demolition. 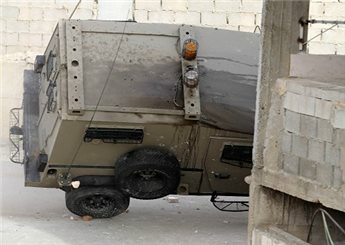 "We realize pretty well that Wadi al-Niam is being targeted by the Israeli occupation. However, we similarly realize that our people in the village are stronger that the machines used in demolitions, and they will never break our will as owners who have the right to live in dignity on our lands." At the demolition, Talab Abu Arar, a Palestinian member of Israel's Knesset, had a heated argument with an Israeli commander and a representative of Israel's land department. Abu Arar tried to enter the store to prevent the demolition but police officers used force to stop him. Earlier in April, Israeli forces demolished Bedouin village al-Arakib for the 49th time. 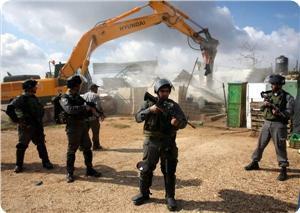 In Arara village, Israeli forces demolished a partially-constructed home, a tent and a barn. Israeli occupation forces (IOF) demolished two warehouses used by Palestinian farmers in Al-Khader village in Bethlehem to store their crops. Amed Salah, the coordinator of the popular committee against settlement, told Quds Press that IOF bulldozers razed the two installations on Thursday morning. He said that the installations are owned by citizens in Habun area that is near to Daniel settlement. 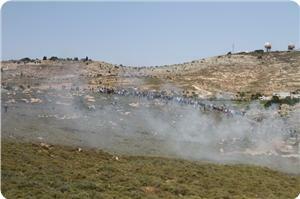 Inhabitants said that the IOF soldiers claimed that the installations were built without permit. In a separate incident, an IOF patrol, including intelligence agents, stormed the town of Yatta, in Al-Khalil province, and questioned a number of young men.